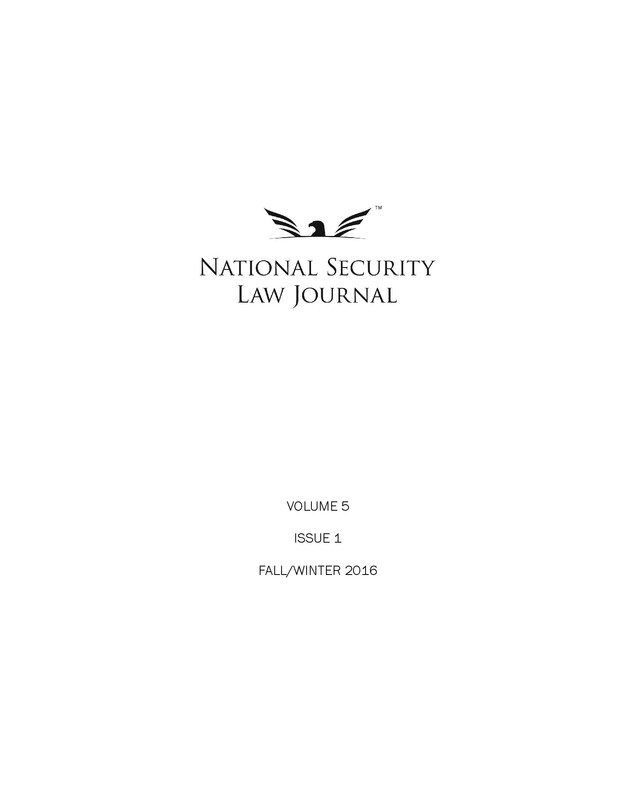 These editors will play an important role in shaping the future success of the National Security Law Journal. The outgoing Board extends its gratitude to these members for their dedication to the Journal. The print edition of Volume 3, Issue 1 is now available on Amazon.com and Barnes & Noble. In this issue, Lieutenant Colonel Eric Merriam, Assistant Professor of Law at the United States Air Force Academy, analyzes how the laws governing biological weapons apply to non-state actors; Professor Ronald Sievert from the University of Texas School of Law advocates for rewriting the Foreign Intelligence Surveillance Act; and Christopher Donesa, former Chief Counsel for the House Permanent Select Committee on Intelligence, provides insight into the hotly-debated Section 215 of the USA PATRIOT Act. 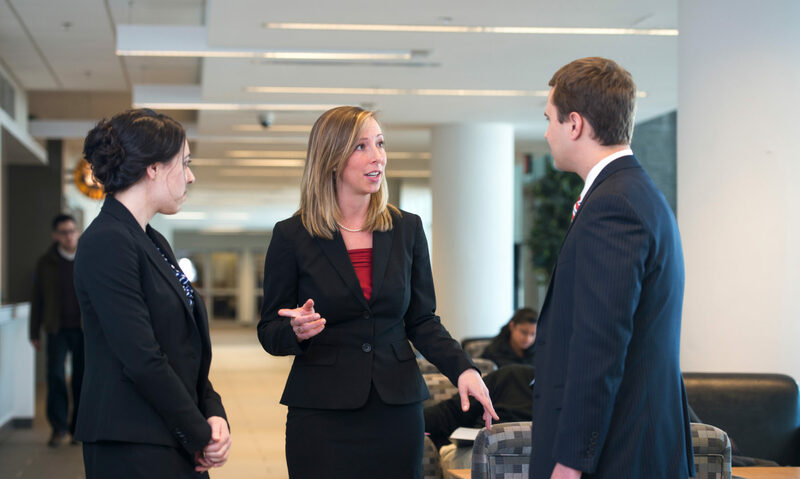 This issue also contains two notes by Mason students: Stacy Allen analyzes a key case shaping the military’s handling of sexual assault, and Melissa Burgess comments on laws preventing the reimportation of American military firearms. Each copy is only $12.95 and eligible for free shipping with Amazon Prime. The National Security Law Journal continues to be listed as one of the top ten titles on national security law on both Amazon.com and Barnes & Noble. NOVEMBER 25, 2014 — Our new fall/winter issue is here! You can now access the digital versions of the articles in Volume 3, Issue 1 online. Eric Merriam, The International Legal Regime Affecting Bioterrorism Prevention, 3 Nat’l Sec. L.J. 1 (2014). Ronald J. Sievert, Time to Rewrite the Ill-Conceived and Dangerous Foreign Intelligence Surveillance Act of 1978, 3 Nat’l Sec. L.J. 47 (2014). Christopher A. Donesa, Is “Secret Law” Really Either? Congressional Intent, Legislative Process, and Section 215 of the USA PATRIOT Act, 3 Nat’l Sec. L.J. 101 (2014). Stacy M. Allen, Note, Special Victim’s Privileges: How Judicial Activism and a Court’s Expansive Application of Law Made for a Good Result, 3 Nat’l Sec. L.J. 128 (2014). Melissa Burgess, Comment, Illegal Upon Exit: Examining AECA’s Ban on the Reimportation of American Military Firearms, 3 Nat’l Sec. L.J. 159 (2014).